Worshippers at Holy Angel Catholic Church on Chicago’s South Side, in October, 1973. Photo courtesy of Wikimedia Commons. But this changed after the Second World War. Military service, educational achievement, economic advancement, and suburbanization combined to make Catholics virtually (or, at the very least, statistically) indistinguishable from other Americans. Catholics became “mainstream.” The culmination of Catholic Americanization arrived, symbolically, with the election of President John Fitzgerald Kennedy in 1960. By 2015, when Pope Francis was invited to speak before Congress, one-third of its members were Catholic. There is a problem with this popular story, however, because it applies only to the children and grandchildren of European Catholic immigrants. A second story involves their black coreligionists, who not only took a different path but also challenged this popular narrative. The true story of Catholics “becoming American” must include the black Catholics who launched a movement for acceptance within their own Church, and within the country. In the process, they transformed what it meant to be both black and Catholic while creating a substantial and sustained critique of the U.S. Catholic Church’s complicity in white supremacy. This story begins 50 years ago, on April 4, 1968, when Martin Luther King Jr. was assassinated in Memphis. In the aftermath of King’s murder, more than 100 cities erupted in urban uprisings. On April 5, Mayor Richard J. Daley, the white Catholic mayor of an overwhelmingly white Catholic police force, authorized Chicago police to “shoot to kill” arsonists and “shoot to maim” looters. Later that same year, Sister Martin de Porres Grey organized the National Black Sisters’ Conference, challenging black sisters to involve themselves in the liberation of black people. The sisters’ statement was no less radical than that of the priests. They denounced the “racism found in our society and within our Church,” declaring it “to be categorically evil and inimical to the freedom of all men everywhere, and particularly destructive of Black people in America.” The sisters pledged themselves “to work unceasingly for the liberation of black people” by promoting “a positive self-image among [black folk]” and stimulating “community action aimed at the achievement of social, political, and economic black power.” The National Convention of Black Lay Catholics, organized in 1969, soon followed suit and, by 1970, these allied organizations had exerted enough pressure on the national body of U.S. Catholic bishops to win official approval for a National Office for Black Catholics based in Washington, D.C. While these black Catholic organizations were new, the presence of black Catholics in the Americas was not. There have been Catholics of African descent in the Americas for as long as there have been Catholics in the Americas. Cyprian Davis, the pioneering historian of black Catholics in the United States, identified a Moroccan slave with a Christian name, Esteban or Estevanico (Stephen), among the four survivors of Alvar Nuñez Cabeza de Vaca’s ill-fated odyssey across the southern coast of North America in 1536. Kongolese Catholics were among the first enslaved peoples brought to the British colonies. Historians have argued that it was Kongolese Catholic slaves who rose up against their masters in the South Carolina colony in 1739, launching what we now know as the Stono Rebellion, the largest slave uprising in the British colonies before the Revolutionary War, on the feast day honoring the nativity of the Virgin Mary. In other words, not all Catholics who crossed the Atlantic were white. Nor were Africans and African Americans somehow naturally inclined to be Christian in evangelical and Protestant ways. It is helpful to remember that, from a hemispheric perspective, black Christianity in the Americas has been and continues to be majority Catholic, just as Catholicism in the Americas has been and continues to be majority non-white. But the 20th century did bring two significant developments in the American population of black Catholics. The first was the mass movement of African Americans from the rural South to the urban North and West, known as “the Great Migrations.” As black migrants moved into Catholic metropolises such as Chicago and Detroit, some white Catholics openly resisted what they took to be an invasion of “their turf.” They formed racial covenants to exclude black families from buying homes, and intimidated, harassed, and attacked those families that managed to do so. Many white Catholics began a long, fraught process of leaving their inner-city parishes behind and moving to the suburbs. But an exceptional few white priests and Sisters committed themselves, instead, to the conversion of black migrants. These white Catholic missionaries invited black parents to enroll their children in Catholic schools. When they did so, black families were introduced to the rituals, prayers, and habits that defined Catholic culture at the time. They learned new ways of imagining, experiencing, and moving in the world. Tens of thousands of African Americans became Catholic as a result of these parochial school encounters, transforming the landscape of U.S. Catholicism. In Chicago, for example, the city’s black Catholic community numbered just a few hundred people meeting in the basement of a single parish in 1900. By 1975 Chicago was home to 80,000 black Catholics, the second largest black Catholic population in the country. In 1970, more black Catholics lived in Chicago than in New Orleans or Baltimore, an astonishing fact considering the centuries-long histories of black Catholic Louisiana and Maryland. Nationally the black Catholic population grew from less than 300,000 to nearly one million members between 1940 to 1975, while its center of gravity shifted from the coastal South to the industrial North. This growth in turn produced the second significant black Catholic happening of the 20th century. These burgeoning black Catholic communities in the urban North were witness to the rise of Black Power in the 1960s. Malcolm X founded the Organization for Afro-American Unity in 1964, just months before he was assassinated in Harlem in February 1965. In 1966 Huey Newton and Bobby Seale founded the Black Panther Party for Self-Defense in Oakland, CA. Stokely Carmichael and Charles Hamilton published Black Power: The Politics of Liberation in 1967, wherein they characterized African Americans as an “internally colonized” people and called for their self-determination. There have been Catholics of African descent in the Americas for as long as there have been Catholics in the Americas. The Black Power movement inspired black Catholics as they ultimately charged their Church with being a “white racist institution.” The Second Vatican Council provided another opportunity for them, as Church leaders from around the world, gathering from 1962 to 1965, opened the doors to sweeping changes not just in Catholic worship but also in the ways in which Catholics engaged the modern world. The Black Catholic Movement was many things all at once. It was a series of political struggles for self-determination in the institutional Church, fought in the circumstances of specific communities. One such community was Chicago, where black Catholic activists forged alliances with Fred Hampton’s chapter of the Black Panther Party, a revolutionary organization founded to provide self-defense against police brutality and self-determination for oppressed peoples, and the Rev. Jesse Jackson’s Operation Breadbasket, an organization dedicated to economic justice for African Americans that grew out of Martin Luther King Jr.’s Southern Christian Leadership Conference. The Black Catholic Movement also inspired unprecedented liturgical innovation as musicians, theologians, and local congregations integrated African American and Afro-Diasporic religious practices into Catholic worship. 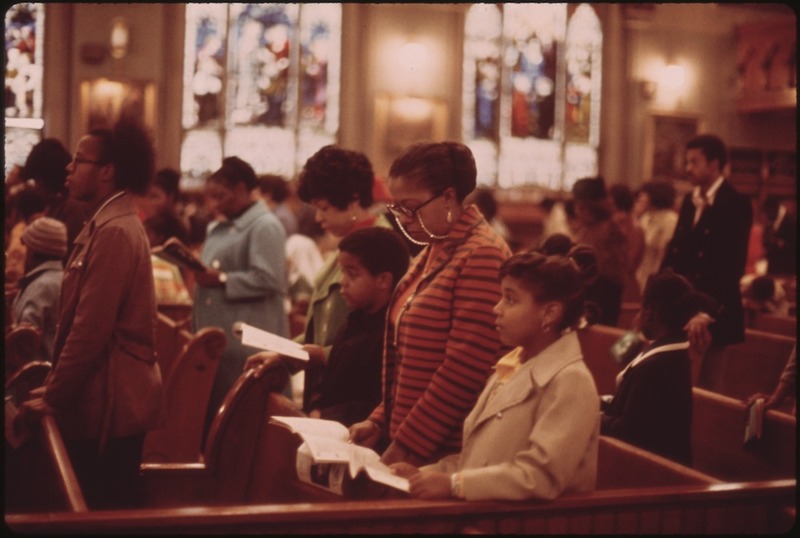 The 1970s witnessed a flourishing of experimentation in black Catholic worship styles, as gospel and jazz music, West African drumming and dance, and black Protestant preaching styles all found their way into Catholic Masses. The movement made intense intellectual contributions, as a generation of black Catholic activist-scholars challenged the unspoken but ever-present assumption that white ways of being Catholic were the right ways to be Catholic. Brother Joseph M. Davis, a Marianist Brother from Dayton, Ohio, who served as the first executive director of the National Office for Black Catholics, argued that the Church had a “missionary mentality” when it came to black Catholics, meaning that white Catholics historically treated their black coreligionists as a foreign people in need of special care rather than as full-fledged members of the Church. Sister Jamie Phelps, an Adrian Dominican Sister and theologian present at the first National Black Sisters’ Conference, reflected on the ways European Catholic practices were assumed to stand in for “real” Catholicism in ways that black culture never could. The history of black Catholics and the Black Catholic Movement should put an end to an exclusive focus on the popular story of Catholics becoming mainstream Americans by the mid-1960s. 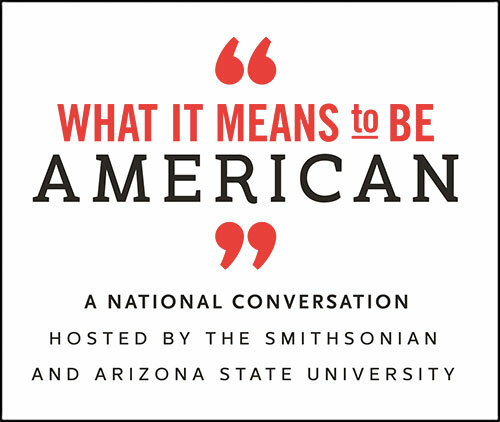 Indeed, terms like “mainstream” and “American” mask true meaning, and render innocent a more complicated tale that also includes a whole host of other Catholic Americans of Latin American, African, Asian, and Native American descent. Moreover, the Church has still not fully reckoned with the consequences of Catholic missionaries who sought to “subdue” and “civilize” indigenous peoples in the Americas. And it has only begun to confront Catholic enslavement of families, whose labor and sale made Catholic institutions sustainable. For that matter, the narrative of Catholics becoming mainstream Americans fails to recognize how the children and grandchildren of European Catholic immigrants only became American to the extent that they “paid the price of the ticket,” in the famous phrase of James Baldwin, by becoming white. All of which makes the story of black Catholics even more important; it forces us to rethink what it really has meant to be both Catholic and American. Matthew J. Cressler is assistant professor of religious studies at the College of Charleston. He is the author of Authentically Black and Truly Catholic: The Rise of Black Catholicism in the Great Migration (NYU Press, 2017).